Enter this plant filled garden oasis and you will forget that you are in the urban Central West End of St. Louis, Missouri. A once abandoned auto repair warehouse underwent extensive renovations to create the unique space that Bowood Farms occupies today. 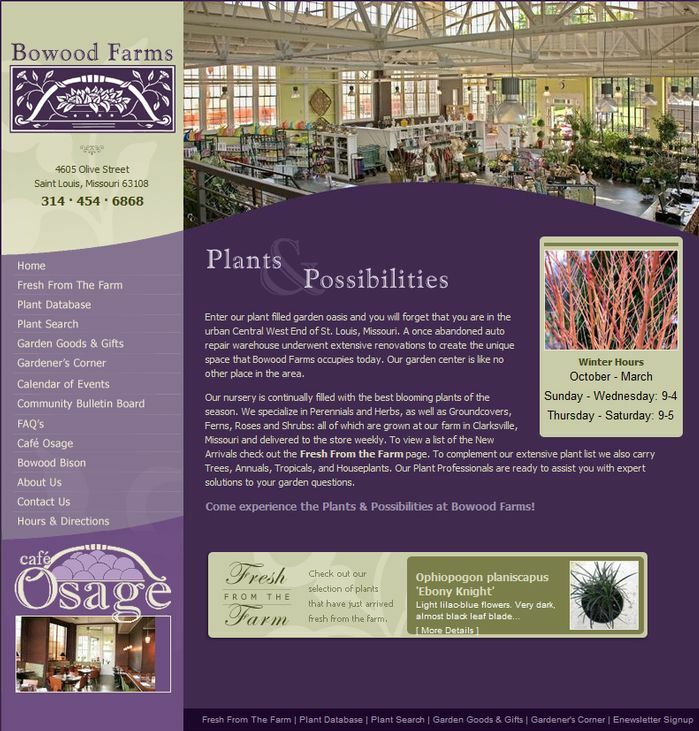 This garden center is like no other place in the area. 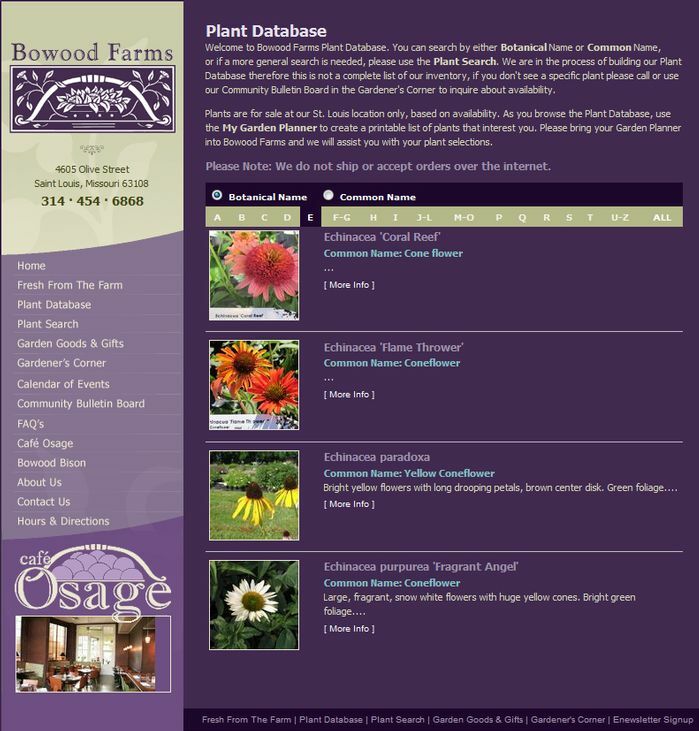 The site has a plant databse and extensive plant search capability, gardener's message board, They update their site with our Clarity Console™ content management tools. 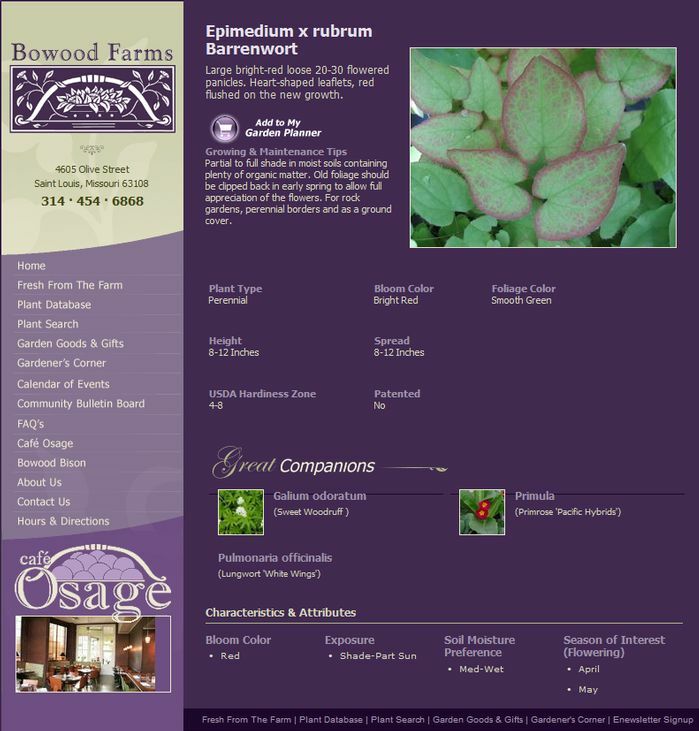 For example, on the home page they use the Page Creator Editor for the text, selected records from the Plant Database Manager are randomly selected for the "Fresh From the Farm" section and the main image at the top (1) and the image, header and caption for the secondary image on the right (2) come from the Random Image Editor, so they have complete control over the content of their home page.